UNIBOX Fins now available in smaller 35mm size ! 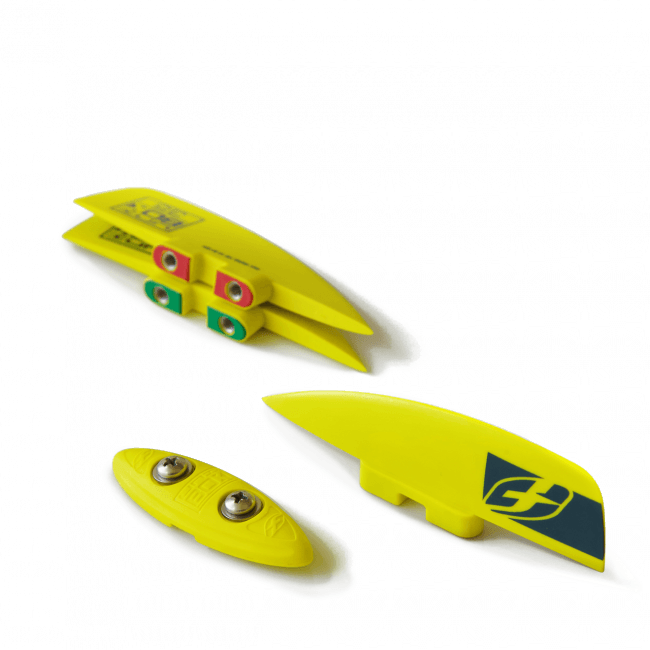 Our patented UNIBOX system removes all constraints of the traditional fin profile design and is compatible with any F-One Twin Tip kiteboard. F-One Unibox fins are now available in a smaller 35mm size ! We know a lot of you have been asking for it. The standard stock Platinum 3 accessory kit will always include the 50mm, but now an optional aftermarket set of 35mm can be purchased separate at your local F-One retailer. These are the perfect upgrade to those who are looking for a looser, more forgiving fin to push your boundaries. The fin base goes through the board and is secured on top by a thin box. The main innovation of this system is that the box does not need to be integrated into the board; rather the board is sandwiched between the fin RESPONSE and its box. As a result, our 3mm board thickness and its flex are left untouched. With the UNIBOX system and its asymmetric profile, you gain in gliding efficiency and can start planning earlier. It improves the ride comfort as well thanks to the fins flex. The RESPONSE fins are color coded on their base (red and green) to facilitate their assembly and respect the asymmetrical aspect. The matching color is also present inside the fin holes on the board. As a result, mounting the fins is really easy: red on red, green on green. The box part on top of the board can be mounted in either direction. A notch has been added on the box so you can mount a leash board if you need to.